Over time, species have been introduced to the park by means of human intervention. Rainbow trout were introduced in the Colorado River for fishing purposes and still put stress on the endangered humpback chub. Though they are no longer artificially added, they have adapted to the environment and continue to populate naturally. 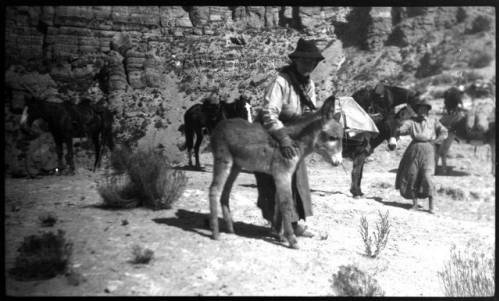 Burros were also not a natural animal of the canyon and were brought in by humans as a means of transport of goods and people. Horses similarly did not exist in the canyon. Native Americans captured and trained horses were lost by Spanish conquistadors in the 1500s. Tamarisks have naturally migrated down into the canyon as water levels have receded and beaches have surfaced. They were first artificially introduced by 1900 to help with soil erosion. The drought resistant plant easily spreads seeds in the windy tunnels of the canyon which has caused it to spread like wildfire. 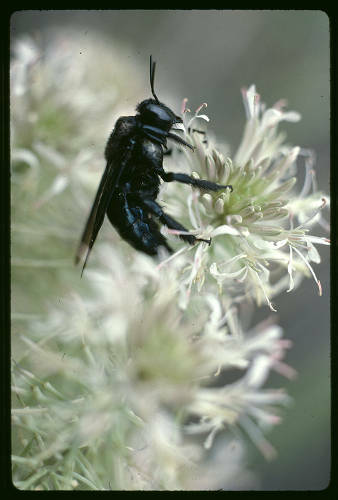 Today it is the predominant riparian plant in the canyon and is driving out more desirable native species. Efforts have been underway since the 40s to control the spread. Efforts were quickly give up in the main canyon because of the extent of the infestation but they have successfully been kept out of side canyons with almost 300,000 trees being removed thus far. Salt cedar (tamarisk) leaf beetles or Kazakhstan beetles were introduced far north from the canyon in experiments to control tamarisk populations. The beatles have since traveled down into the canyon and are working as a biopesticide. The issue now is the southwestern willow flycatcher, an endangered species, has adapted to nest in the tamarisks, and are subsequently facing displacement. Cottonwoods were introduced and then artificially grown, especially by the Havasupai to supplement their firewood caches in the winter after their land on the plateau was taken away. The California Condor is another famous species of the canyon that has felt the effects of human encroachment on their territory. These amazing birds have a wingspan of 9ft, weigh around 23 pounds and use thermal drafts to reach speeds of 50mph. 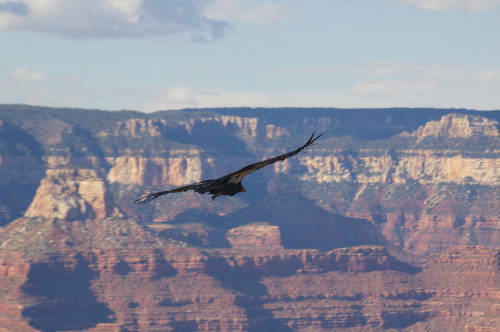 Remnants show that in the Pleistocene period, the condors were quite common in and around the canyon. Today fewer than 450 survive and they are considered the rarest bird in North America. Pollution and lead poisoning remain the most common killers of the condors. Pollution in and around the park is picked up and fed to chicks. Microtrash can clog the digestive systems of baby birds and kill them before they mature. California condors only feed on dead animals, and as such will often feed off of game that has been abandoned by hunters. The lead from the spent ammunition contaminates the carcass and poisons the bird, effectively killing it. This remains the leading cause of death. Habitat loss and illegal hunting also threaten the bird. There is a silver lining. Thanks to extreme intervention and intensive rehabilitation, the California condor has been brought back from the brink of extinction. Captive breeding and tracking efforts are slowly replenishing the wild population.